AdNews delivers vital market intelligence on the Australian advertising, marketing and media industries. 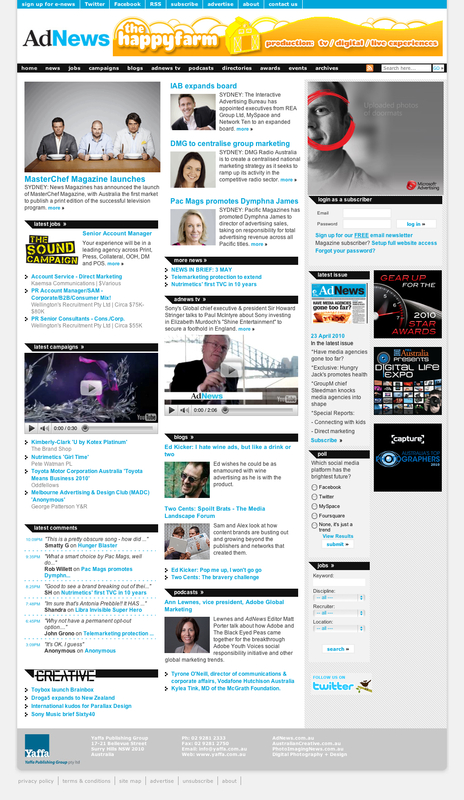 With breaking industry news, case studies and in-depth special reports. Part of Yaffa Publishing's portfolio-wide collection of publishing platforms implemented entirely by Daemon.